On Tues 28 June, President Ken Pearson and incoming President Andrew Watson welcomed Rotarians and guests to the changeover. 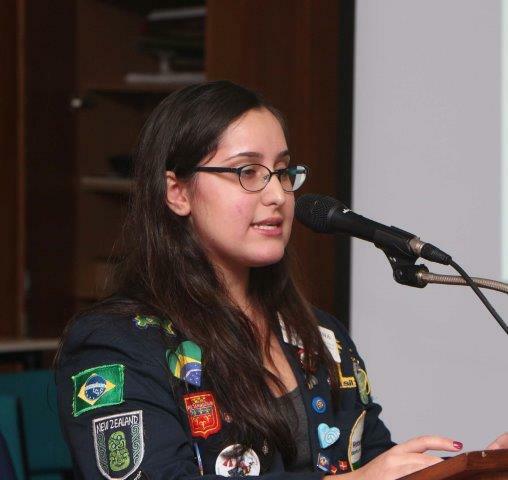 Helena Saker-Heck spoke on the highlights of her visit to Tawa as she completes her Rotary exchange year and returns to Brazil. Safe travels and we wish you every success for your future. 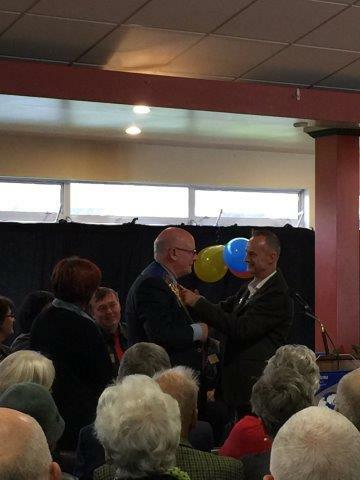 A real thrill occurred at changeover with Tony Heyward’s surprise at President Ken;s announcement that he was being presented with a Paul Harris award. 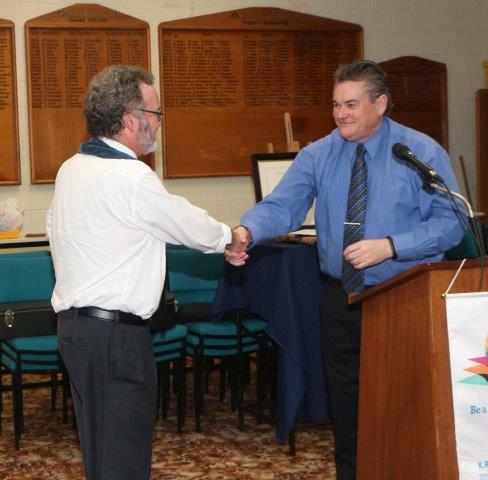 Congratulations Tony – your roles with Tawa Rotary and District and passion for applying the Rotary values have been evident. 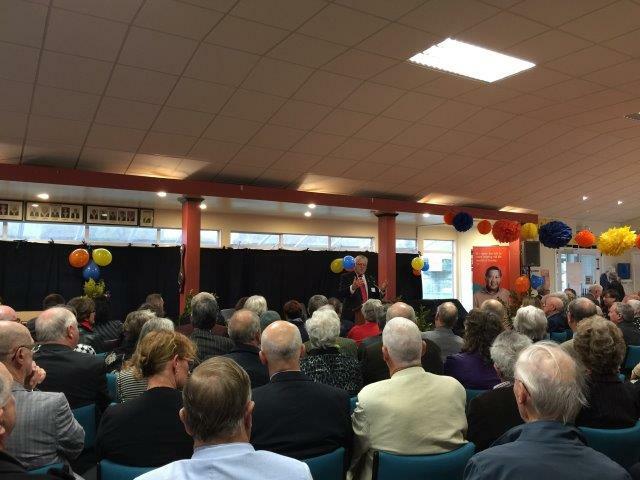 Welcome to Nick Leggett, Mayoral candidate for Wellington City, who will be visiting Tawa Rotary on 5 July 2016. 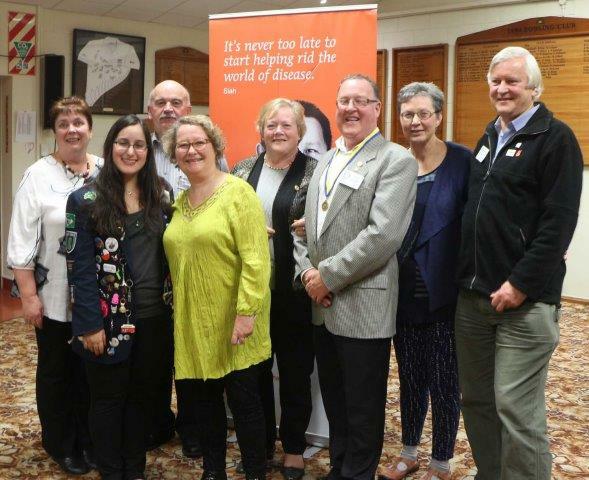 A highlight for the month has been the District changeover hosted at Tawa Rotary. Awards presented by DG 2015-16 Simon Manning - congratulations on a great year and achievement of the goals set. He then handed over the chains to incoming District Governor Martin Garcia. Original generation time 1.5119 seconds. Cache Loaded in: 0.0407 seconds.